Mounted Points are capable of reaching places inaccessible to larger types of Grinding Wheels. It can be used safely on hi-speed portable grinding machines. 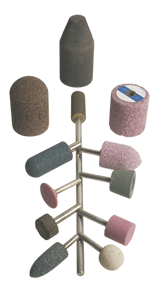 Sterling’s Mounted Points are available in various abrasives to suit every need of the end user.